The proverbial wheel got rolling in Jacob Carr’s racing career at the ripe ole’ age of two (1998). “My Grand dad bought me my first 4-wheeler for Christmas,” Carr said. “That’s when I knew I wanted to get into racing.” It was about six years later before Jacob got into some type of organized racing. At the age of eight (2004) Mr. Carr, Jacob’s father, purchased him his very own dirt bike and started to race at various different tracks. “We actually hid me racing dirt bikes from my mom for a while,” explained Carr. “But it got really hard trying to hide my trophies from her.” There is that old saying it’s always easier to ask for forgiveness than it is for permission. 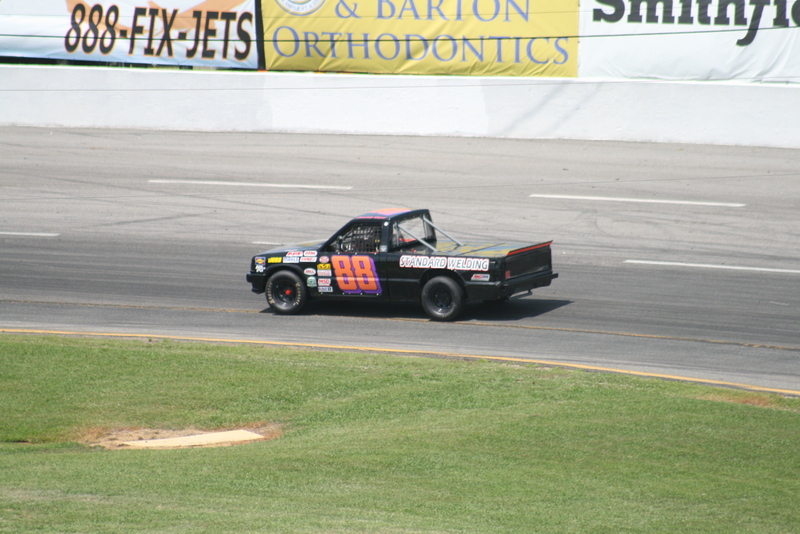 Jacob currently runs in what is known as the Super Truck division at Langley Speedway. In my honest opinion a dying breed around Langley, however these are later model four-cylinder mini trucks (Chevy S10, Ford Rangers). Jacob was able to earn the Rookie of the Year title in his debut season finishing 7th in overall season points. About to complete his third season in the Super Trucks, Carr is currently tied for second in points with Colby Vance, both trailing current leader Chase McAdams by two points. Jacob Carr will be back in action next Saturday September 27th in their final race of the year. Gates open at 2:00 PM with racing set to begin at 6:00 PM.